There are various methods to find table across the database but I was keen on a solution to find a table across the database and if the table is not available in any database then the script must mention so. Given below is the solution designed with the help of a sys.tables(system table). Note : This solution is compatible with SQL SERVER 2005 and above. 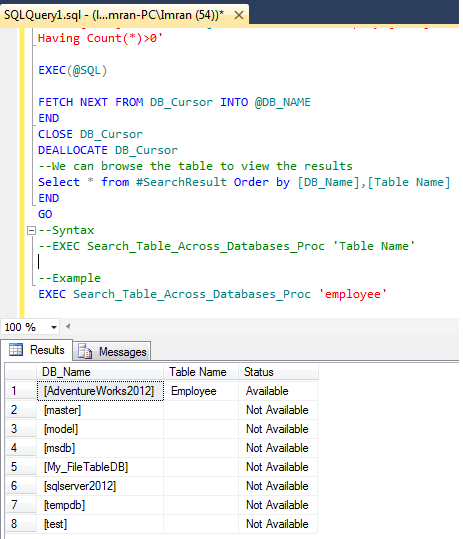 -- Script Type : Search Tables Across all SQL Server databases.